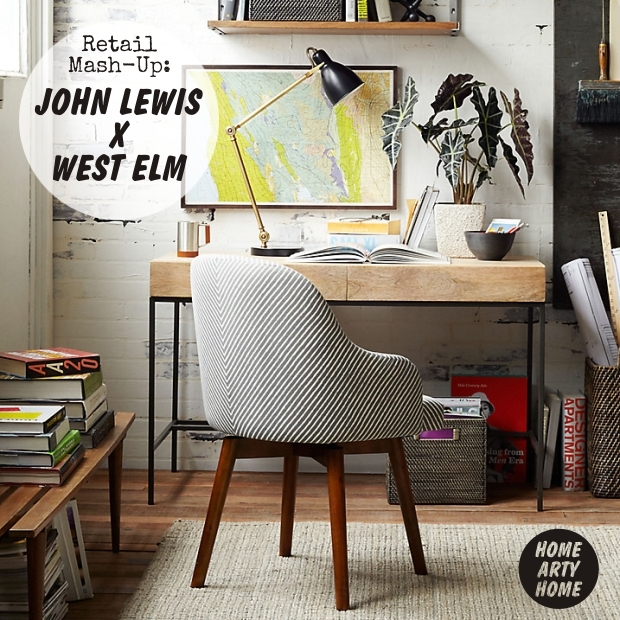 Home Arty Home got unduly excited when the Brooklyn interiors store, West Elm, decided to open up a London outpost. It’s one of those shops I’d browse online, delighted with the goods I’d found and mentally found a space for, only to discover that they don’t ship to the UK. 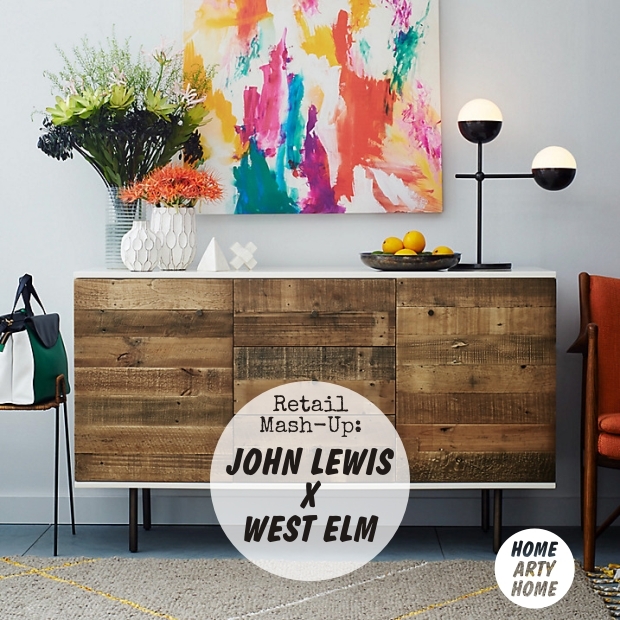 Thankfully that changed last year when West Elm opened up a store on Tottenham Court Road, the address synonymous with affordable interior design thanks to long-standing tenants such as Habitat and Heals. 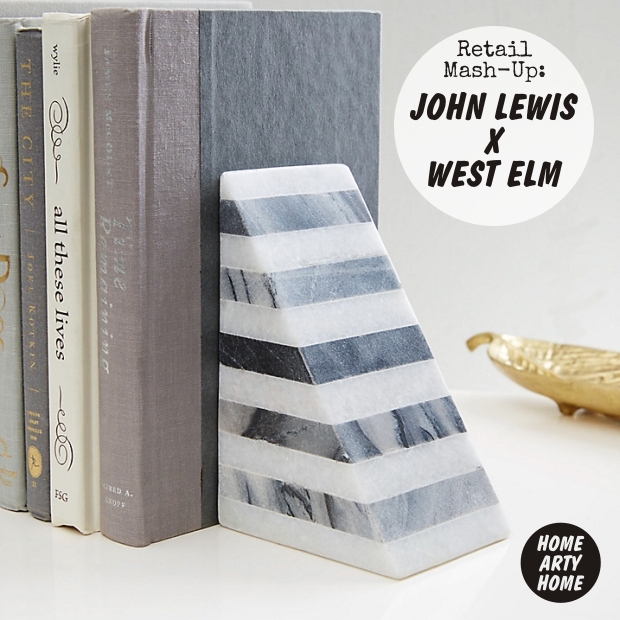 Alongside their own West Elm range, the Brooklynites have demonstrated their willingness to work with local makers by holding regular in-store pop-ups of independent artists and designers. 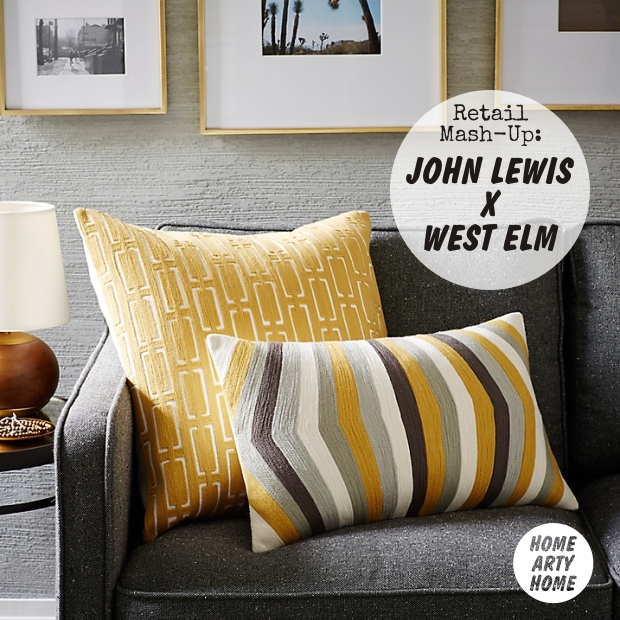 They have their own website but West Elm have also partnered up with British retail institution John Lewis to offer a selection of their wares online. 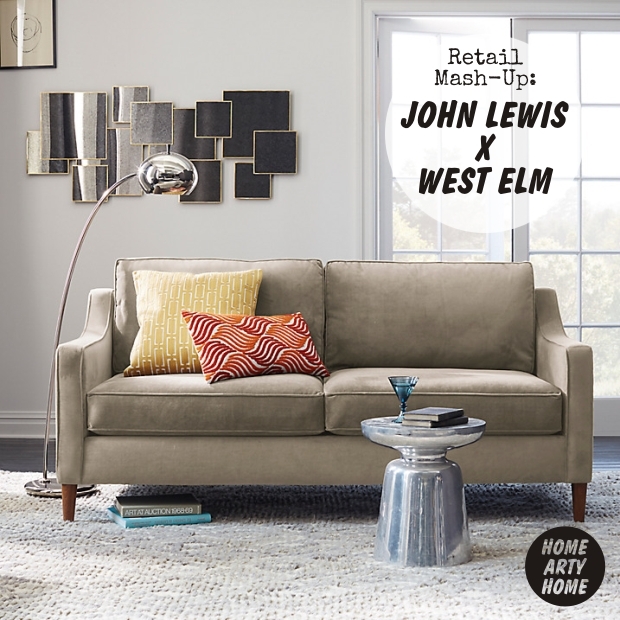 It truly is the best of both shopping worlds – we can now access the understated cool of West Elm’s range alongside all the bits and pieces we find ourselves going to the John Lewis website for. 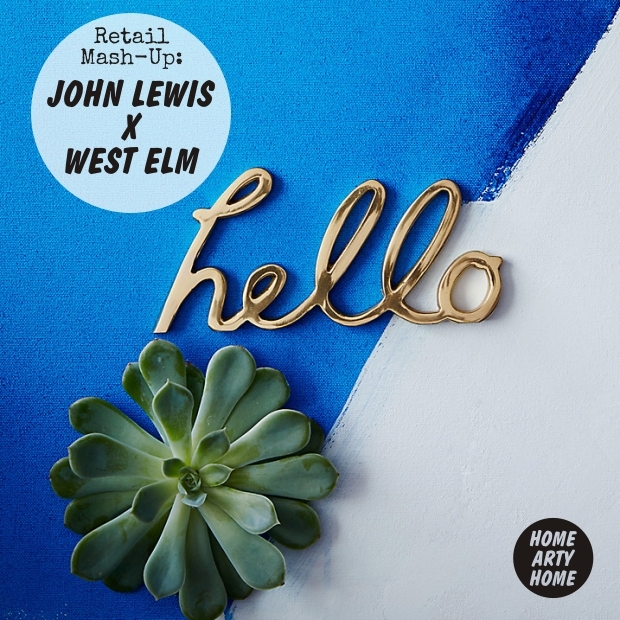 It’s a great idea to mash together two different stores and I hope that there’ll be more collaborations like this in the future, at the John Lewis website or another British store. 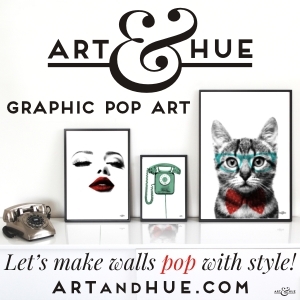 There are some great interiors and design shops in the USA and Europe that I would love to be able to order from but they don’t currently ship to the UK. 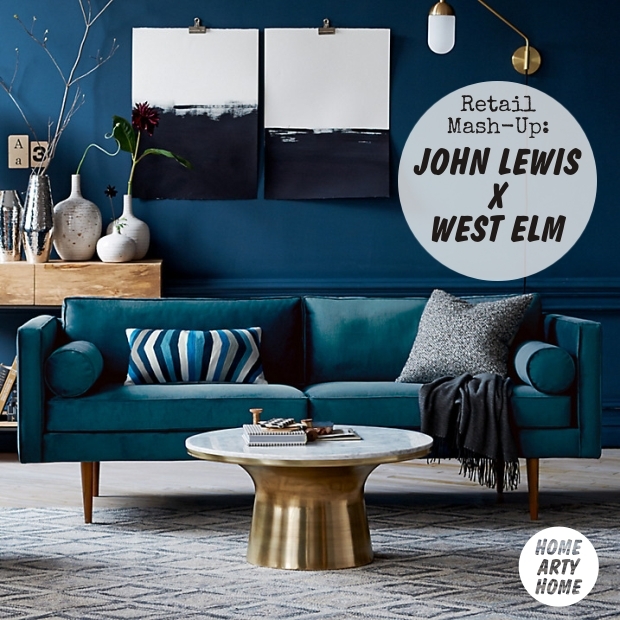 Take a look at these images which illustrate how great the West Elm collection can make a room look, and shop the West Elm items at John Lewis here.